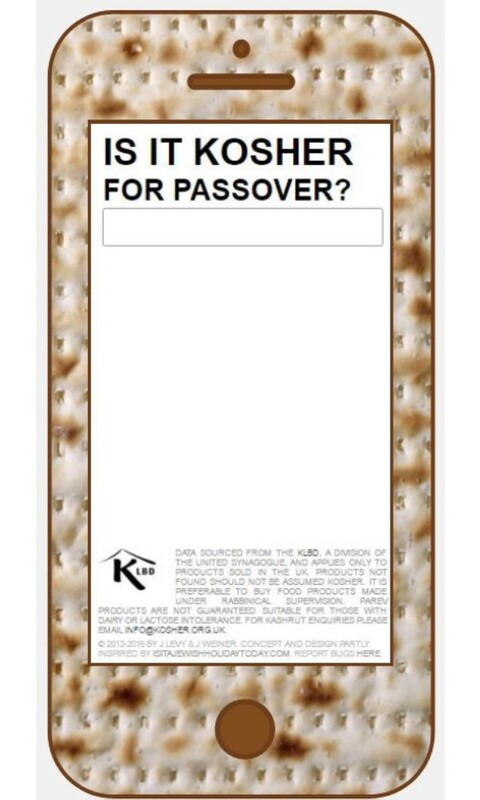 Home » Kosher » Learn About Kosher » What is Shemitta? » What is Shemitta? The Shemitta year commenced on the eve of the 24th September 2014 (Start of the Jewish Year 5775). Shemitta literally means ’sabbatical’ and during this year, the Land of Israel takes an enforced "Sabbath rest", as stated "...and the land shall rest a Sabbath to the L-rd" (Leviticus 25, 1.). During this year there are restrictions on both the agriculture and trade of produce from the Land of Israel. The produce takes on an additional level of holiness which means that it may not be wasted, mistreated or traded in a usual fashion, and some vegetables become forbidden under Gezerat Sefichin (Prohibition against Consuming (certain) Vegetables). The KLBD policy, in keeping with that of the other European Batei Din (Jewish Law Courts), the OU and other American Kashrut Authorities, is that given these considerations, it is preferable to avoid using certain products that are grown in Israel during the Shemitta year and the year following. See the chart below for dates to avoid each fruit and vegetable. If one has already made the purchase, a Rabbinical Authority should be consulted. 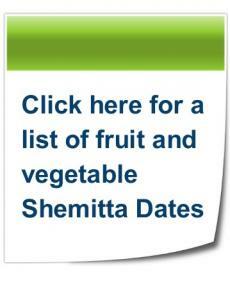 Click here for a list of fruit and vegetable Shemitta dates. Click here for a video explaining about Shemitta. This refers to produce from the seventh year, grown in Israel, which takes on an elevated level of holiness. A comparison can be made with the holiness of Shabbat which as the seventh day of the week brings an additional level of holiness and some restrictions to honour the day. As stated above, this produce should not be traded commercially nor sent outside Israel, it may not be wasted or used in an unusual manner. However, it is permitted to eat it and it should be treated in a respectful way i.e. leftovers should be wrapped prior to throwing it away. According to Biblical law, produce that grew by itself during the Shemitta year, whilst having Kedushat Shevi’it could still be eaten. However the Sages were concerned that individuals would plant vegetables in the seventh year and claim that these had grown by themselves. They therefore forbade consumption of Shemitta vegetables where the planting may have been during the Shemitta year itself. The date that this restriction starts depends on the type of vegetable and how long it takes to grow. Over 100 years ago, in order to protect the fledgling new settlements in the land of Israel, some leading rabbis in Israel devised a method of selling the Land of Israel to non-Jews in order to avoid the restrictions of shemitta – the “heter mechira”. Other authorities debated its validity. The generally accepted view amongst both European and American authorities was that one should avoid relying upon the Heter Mechirah outside Israel where other products are readily available. This was the position of Rabbi J B Soloveichik ל"ז, well known as the leading centrist/modern orthodox halachic authority in America, as well as other leading Rabbis.